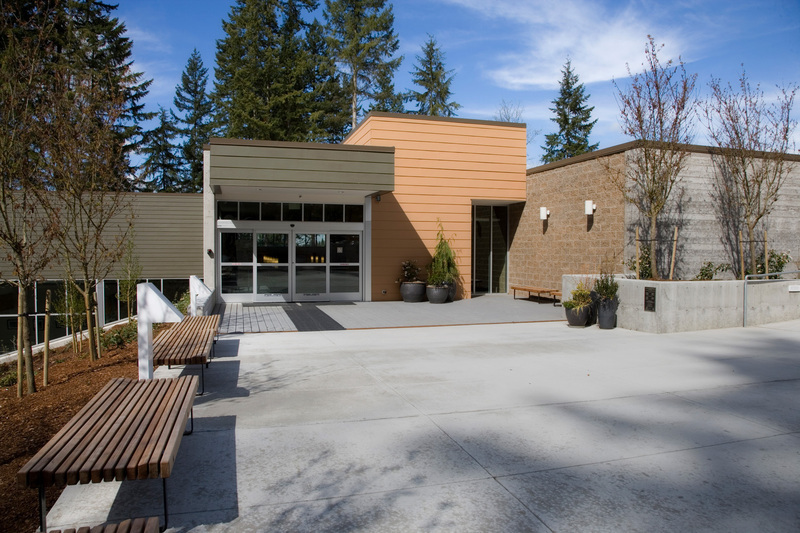 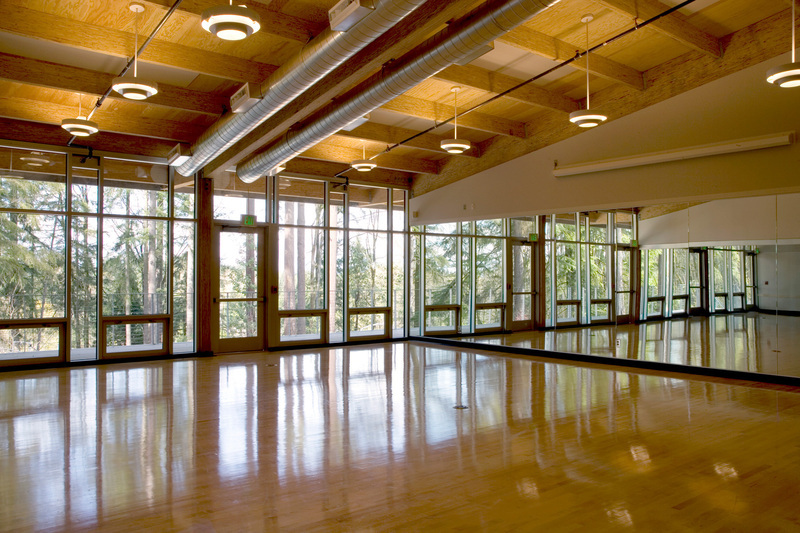 A steeply-sloped site and surrounding park provided design direction for this new community center to step down the site and open to the forests on all levels. 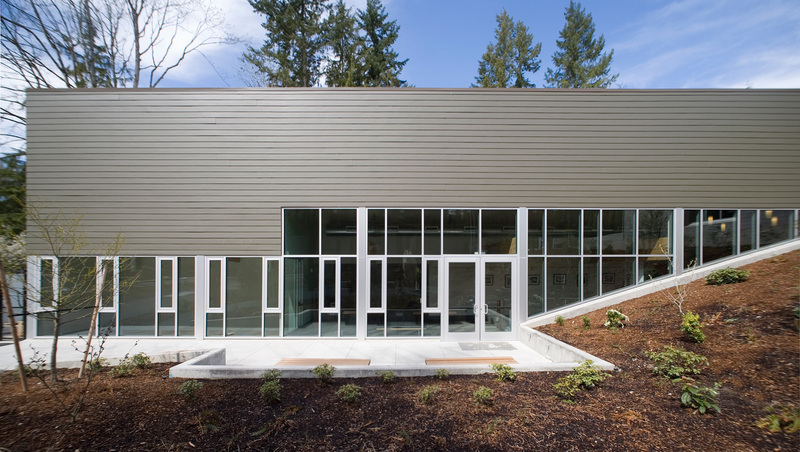 Its exposed wood structure and sand-blasted concrete walls tell the story: this is a straightforward design that embraces simple forms. 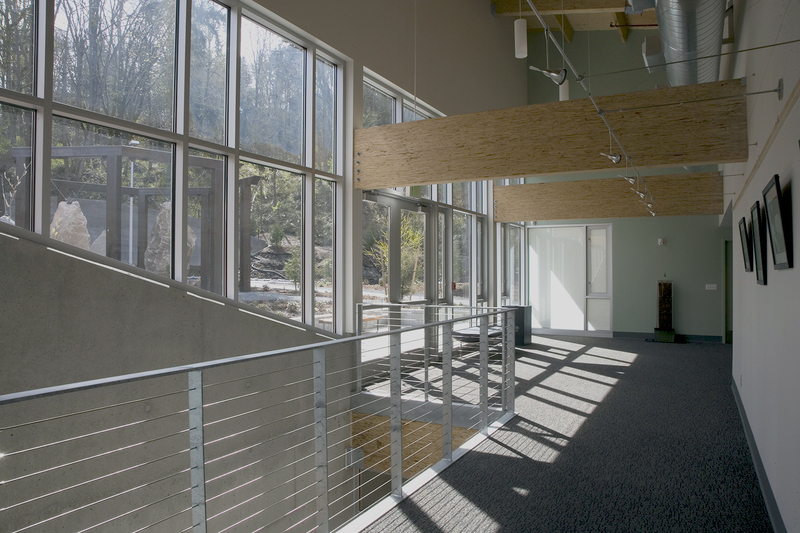 Expanses of glass provide sweeping forest views, while a stacked floor plan draws natural light into core areas. 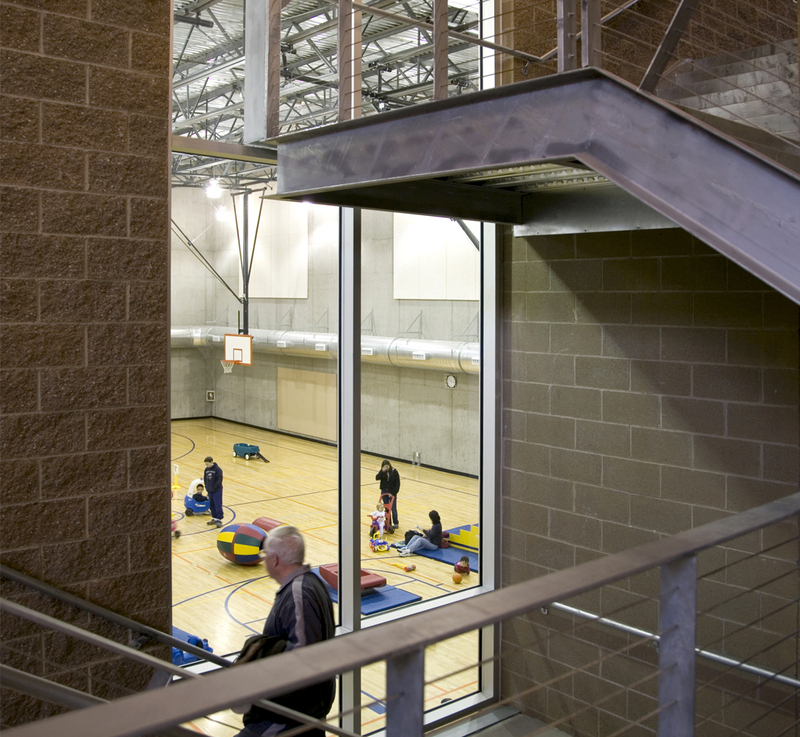 A three-story interior climbing wall creates a dramatic focal point for visitors in the main lobby. 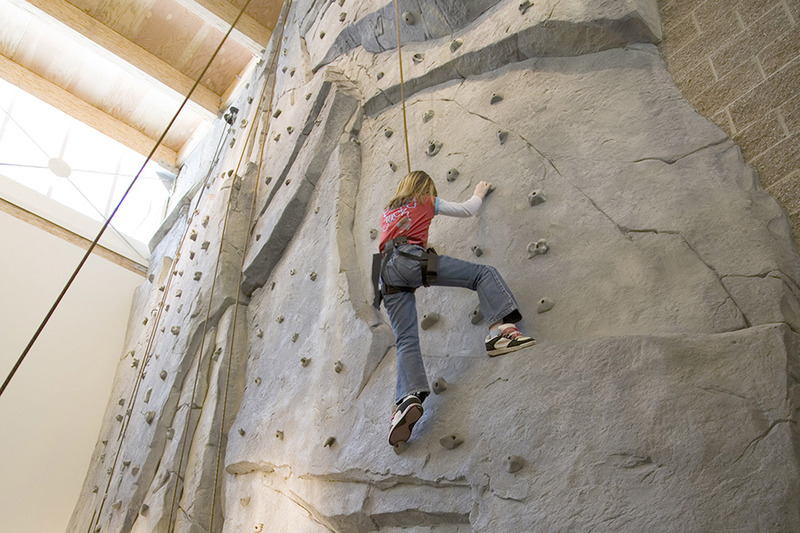 The site includes a challenge course designed to encourage communication and team-building. 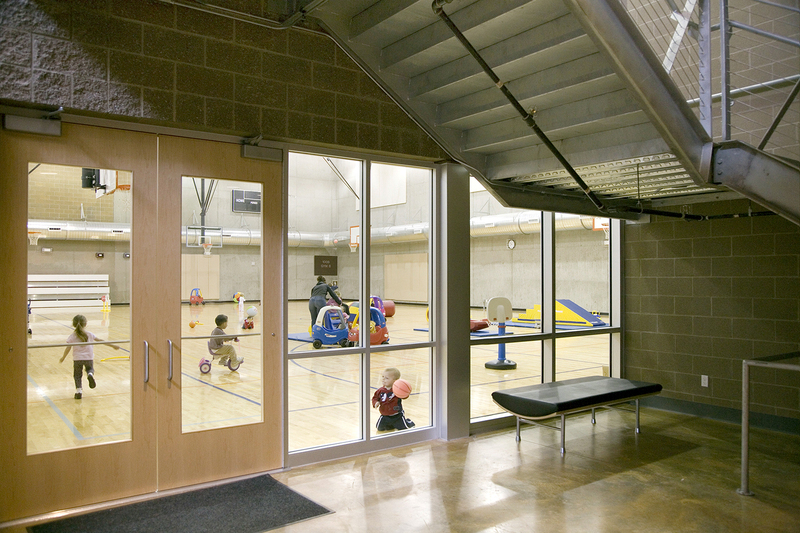 Play areas for different age groups and public art complete this community gathering place. 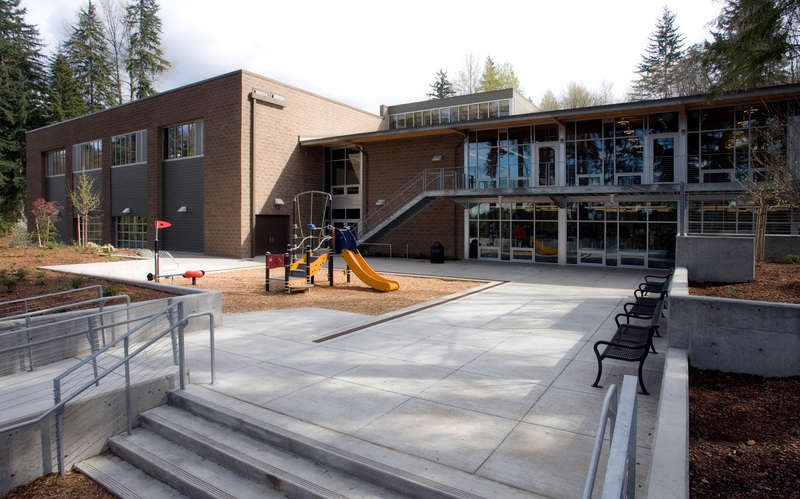 This project was a joint effort of the Bellevue Parks and Recreation and the Boys & Girls Club.